William Saletan of Slate and economist Joshua Gans of the Melbourne Business School recently commented on the latest ill-advised birth encouragement policy, this time from Russia. The governor of the Ulyanovsk region in Russia declared September 12 a day off for making babies. The regional government is offering prizes in the form of cash, cars, and appliances to couples that give birth nine months after the Day of Conception. This is on top of President Putin's national proposals to entice would-be mothers with cash, extended maternity leave, and day-care subsidies. The Aplia Econ Blog has already posted here and here about Gans' extensive look at similar birth incentive programs in Australia. 1. What, according to Saletan, are the primary reasons for rapid population decline in Russia? Given the causes of depopulation, do you think birth incentive programs stand a reasonable chance of reversing the trend? What long-term policies would you recommend to deal with Russia's declining population? 2. While the effect of birth incentives on long-term population growth is highly debatable, economists Joshua Gans and Andrew Leigh have demonstrated that birth incentives have a significant impact on parental decisions about timing births and inducing labor. 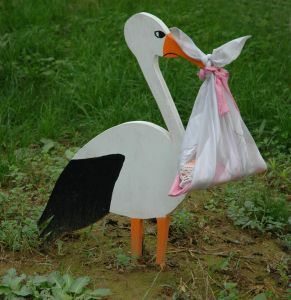 What do you expect maternity wards in Ulyanovsk to look like on June 12, 2008? What are the health costs associated with Ulyanovsk's birth incentive policy?